Samaritan’s Purse is currently in the area where Hurricane Patricia made landfall. The team has identified a stretch of coastal area where the damage is significant and, because of low population density, will likely be a lower priority for the government response. 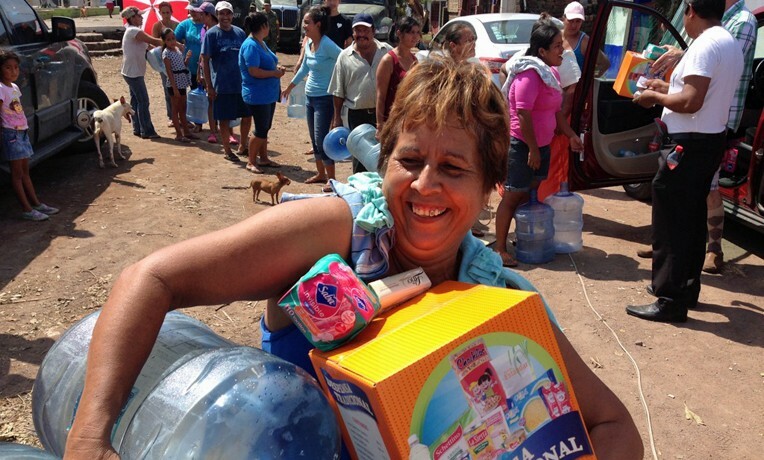 On Monday, we bought food, water, and hygiene items for the local churches to distribute to 965 people in three areas. We plan to continue procuring items and advising churches in five to six different villages as they meet the needs of their communities. The team has also identified a need for plastic tarpaulin for temporary roof repairs until the Mexican government can provide permanent repairs. Our church partners and volunteers are in place for these distributions. Hurricane Patricia developed into a Category 5 hurricane with sustained winds of 200 mph on Friday. It made landfall close to Manzanillo. Damage from the storm included roof and structural damage to homes. Please pray for those affected by the storm and for our team and partners as they work to meet immediate needs. Main story updated October 29, 2015. Editor’s note and final update as of November 6, 2015: Our response was completed on November 4. We distributed oil, beans, rice, sugar, water, and more among 965 beneficiaries. We also provided 500 tarps. Our partner church distributed 300 additional food baskets. Thank you of your support and prayers.